Ebola Virus Drugs Approved or Still in Pipeline. What’s the mystery? Ebola virus disease (formerly known as Ebola haemorrhagic fever) is a severe, often fatal illness, with a case fatality rate of up to 90%. Ebola first appeared in 1976 in 2 simultaneous outbreaks, in Nzara, Sudan, and in Yambuku, Democratic Republic of Congo. The latter was in a village situated near the Ebola River, from which the disease takes its name. The 2014 Ebola outbreak is one of the largest Ebola outbreaks in history and the first in West Africa. It is affecting four countries in West Africa: Guinea, Liberia, Nigeria, and Sierra Leone. In March 5, 2014, U.S. Food and Drug Administration (FDA) has granted Fast Track designation for the development of TKM-Ebola, an anti-Ebola viral therapeutic of Tekmira Pharmaceuticals Corporation. The TKM-Ebola drug is being developed by Tekmira and the U.S. Department of Defense’s medical countermeasure systems biodefense therapeutics joint product management office under a $140 million contract. The anti-Ebola virus RNAi therapeutic has been used in preclinical studies to treat previously infected “non-human primates”, with results showing 100 percent protection from an otherwise lethal dose of Zaire Ebola virus. In January 2014, Tekmira commenced a Phase I clinical trial using TKM-Ebola. The TKM-Ebola Phase I clinical trial is a randomized, single-blind, placebo-controlled study involving single ascending doses and multiple ascending doses of TKM-Ebola. The study will assess the safety, tolerability and pharmacokinetics of administering TKM-Ebola to healthy adult subjects. KM-Ebola may not prove to be an effective anti-viral therapy for hemorrhagic fever viruses; data from the TKM-Ebola Phase I human clinical trial may not be available as currently anticipated, or at all; the U.S. Department of Defense may suspend or terminate its participation in the TKM-Ebola program; the Fast Track designation from the FDA may not result in faster development times or earlier approvals; and Tekmira’s products may not prove to be effective or as potent as currently believed. On Sep 18, 2012, U.S. Food and Drug Administration (FDA) has granted Fast Track status for the development of Sarepta Therapeutic’s lead infectious disease drug candidate, AVI-7537, a different type modified RNA molecule. AVI-7537 is directed against one of the three Ebolavirus genes (VP24). The chemistry platform utilized for development is PMOplus. AVI-7537 also works via a different mechanism to block the viral protein from being made. Sarepta had been conducting Phase 1 safety trials with the drug alone and together another Ebola-directed PMOplus molecule (AVI-7539, with the combination called AVI-6002). American missionary Ebola patients, Dr. Kent Brantly and Nancy Writebol are given biotech product, called ZMapp, are indeed still experimental – it’s not yet approved for human use, and not yet even in phase I clinical trials. The ZMapp three-antibody cocktail isn’t a vaccine. Instead, it provides an artifical immune response against sugar-tagged proteins on the outside of the Ebolavirus. ZMappTM is composed of three “humanized” monoclonal antibodies manufactured in, specifically Nicotiana. It is an optimized cocktail combining the best components of MB-003 (Mapp) and ZMAb (Defyrus/PHAC). ZMappTM was first identified as a drug candidate in January 2014 and has not yet been evaluated for safety in humans. There are about a half dozen Ebola drugs and vaccines in development, several of which have received funding from the U.S.
For more information on Pipeline drugs of Ebola Virus get the DelveInsight’s Report ‘Ebola Viral Infections-Pipeline Insights, 2014′ in just $1250. This entry was posted in Business Consultant, Pharma Consultant and tagged AVI-7537, Cases and Death, Current Treatment, Currently Given Non-Licensed Drug, DelveInsight, Ebola, Ebola Approved Drugs, ebola pipeline, Ebola Virus Infection, Ebolavirus, Fast Track Drugs, Phase I, plants, RISK, Tekmira, Tekmira Pharmaceuticals Corporation., U.S. Food and Drug Administration, USFDA, Vaccine and treatment, West Africa, ZMapp. 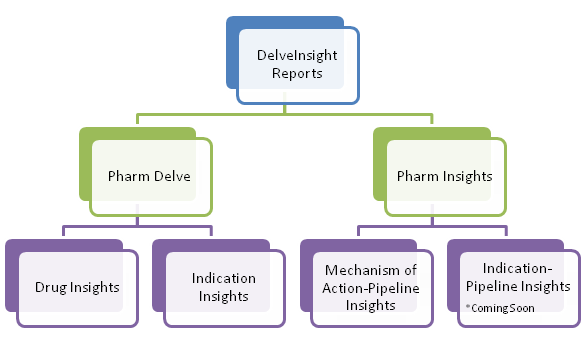 DelveInsight’s, “ Rheumatoid Arthritis- Market Analysis, Global API Manufacturers and Phase III Pipeline Assessment, 2014”, report provides comprehensive insights about phase III pipeline drugs and marketed drugs across the indication. A key objective of the report is to establish the understanding for API Manufacturers for marketed and Phase III pipeline drugs across the different countries and regions. While the leading brands, companies and chemicals are considered thoroughly, the report also provides details on the drug master filings across the US, Europe and Asia specifically China and India. The research, analysis also presents the global sales forecasts data till 2015. The report is also giving insight about the patent and exclusivity details of all the drugs across the indication. Note*: Certain sections in the report may be removed or altered based on the availability and relevance of data for the indicated disease. This report requires certain updates. We have all the information available but require 3 business days to complete the process and ensure it is as up-to-date as possible. – A snapshot of the global Market therapeutics scenario for Rheumatoid Arthritis. – A review of the marketed products under prescription for Rheumatoid Arthritis, regulatory information and marketing status. – Coverage of global patent coverage and detailed commentaries on the US patent challenges. – Graphical representation of investigational products for patent expiry and market exclusivities across the globe. – Product profiles for marketed products for Rheumatoid Arthritis with complete description of mechanism of action, therapeutic class, target, route(s) of administration and chemical details. – Coverage of API Manufacturers for Rheumatoid Arthritis drugs in the United States, Europe and Asian Regions with location details. – Coverage of Regulatory filings in theUS, Europe, and Asia specifically India and China for Rheumatoid Arthritis drugs. – Coverage of Route of Synthesis of Active Pharmaceutical Ingredient associated with Rheumatoid Arthritis drugs. – Coverage of Rheumatoid Arthritis Phase III pipeline products featuring sections on product description, mechanism of action, Chemical details and research & development progress. – Coverage of the United States Drug Master File (US DMF) available for Phase III Pipeline Drugs. – Key discontinued Marketed products. – Global Sales Figure from 2011-2015. – Evaluate the marketing status and exclusivity details of Rheumatoid Arthritis key products to exploit opportunities for generic drug development opportunities. – Identify and understand important and diverse types of therapeutics under Phase III development for Rheumatoid Arthritis. – Design effective counter-strategies to gain competitive advantage by identifying the key patent expiry details and exclusivity with respect to ‘Disease’. – API intelligence over marketed drugs for Rheumatoid Arthritis and gaining primary intelligence over active ingredients manufacturers across the globe. – API intelligence over leading Phase III pipeline drugs. – Develop and design strategies by identifying the API manufacturers for Phase III pipeline products to enhance and expand business potential and scope. – Understanding the scope of the Phase III Drugs with nil regulatory filings. – Understanding the chemical route of synthesis of approved drugs for Rheumatoid Arthritis. – Uncovering opportunities in the rapidly growing the US markets. This entry was posted in Uncategorized and tagged Company Overview, Global Active Pharmaceutical Manufacturers, Marketed Drugs Information, Phase III Drugs, Rheumatoid Arthritis Therapeutic Market, Route of Synthesis, US DMF Status.